Safety in aviation has come a long way since the days of the Wright brothers and Amelia Earhart. There have been incredible advancements in aircraft design, engines, performance, avionics and materials. All of these advancements have collectively reduced the risk of flying. Over the past 100 years, the safety and maintenance procedures have been developed to contribute to the safety of the pilots and passengers. These standards have enabled the creation of a global industry for air travel. For many people, air travel and charter flights have become a necessary activity for business in today’s world. Unfortunately, aviation related accidents and fatalities are a part of life. So what can charter jet flyers do to protect themselves? Let’s take a closer look at the standards set forth by the FAA that regulates safety within in the private air charter industry along with ways that air charter flyers can research the level of experience their pilots may have. The Federal Aviation Administration has created the Part 135 Regulations to standardize the safety and operations of aircraft charter flights taking place within the United States. The Part 135 Regulations govern non-scheduled flights where money is exchanged in excess of the direct operating costs of the flight. All non-owner flights where a profit is made are regulated by FAR Part 135 and require a Part 135 Certificate. This Part 135 Certificate spells out the specific maintenance requirements, pilot experience and appropriate level of insurance to be carried by the operator when making a profit. While the Part 135 certification does set the standard safety procedures and pilot licensing requirements of all charter flights flown within the United States, these standards are recognized as the minimum standards required to conduct legal air charter flights. 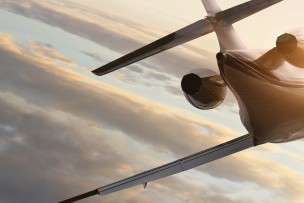 In order to provide jet charter flyers and charter jet consumers with the assurance that the charter jet operator does adequately meet the standards set forth by the FAA, third party companies are available for verification. 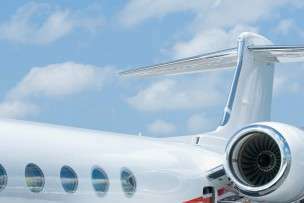 There are several third party air charter verification companies that can be hired to ensure safety; however two leading air charter safety verification companies ensure that charter jet operators not only meet the FAA requirements set forth in the Part 135 certification process, but also have increased safety standards of their own. These verification companies research the aircraft maintenance records through an onsite analysis; they review the pilots’ level of experience flying a given aircraft and the flight history of the charter jet certificate holder. By hiring a third party to provide a detailed analysis for a proposed charter flight, can help to ensure that all of the standards set forth by the FAA are being exceeded and that only the most experienced pilots are in command of your charter flight. When scheduling a charter flight, an air charter agent can help to ensure that the aircraft you will be flying on is well-maintained and that your pilots have exceptional safety records. The knowledge of the charter jet industry along with the familiarity of pilots, crew and their experience that is held by most air charter agents, makes chartering a private jet simple. In addition to providing you with multiple options, air charter agents do the hard work and due diligence to ensure that the aircraft chartered on your behalf is the safest available.